"Perfect Place for an Extended Stay in Boston!" I had the opportunity for a work assignment for 9 weeks in Boston. Imagine my delight to find a furnished apartment in Back Bay that was no more expensive than staying at an extended stay motel/hotel! The apartment had a large living area with dining space, a bedroom with a king sized bed and two dressers; the bathroom was small but clean and even had some shelving for essentials. the kitchen was fully equipped with full sized stove, frig, dishwasher, microwave and plenty of storage. There were area rugs on the floor to help control sound and the unit also had an iron, ironing board and sweeper. There was a washer/dryer in the basement; however, I chose to use an area laundromat just to get everything done quickly.The manager of the property was very responsive to any questions I had and was quite gracious when I asked to stay one night longer than originally scheduled. I was a bit surprised at how much street noise carried into the apartment, even on the third floor. Not being a city gal, it took me a few nights to tune that out! If I need to be in Boston again, I will certainly seek Back Bay suites out to see if they have an opening. 05-Jun-2018 Verified Review, stayed from Wed Mar 21 to Sat Jun 02 2018 at a $130.00 group rate. 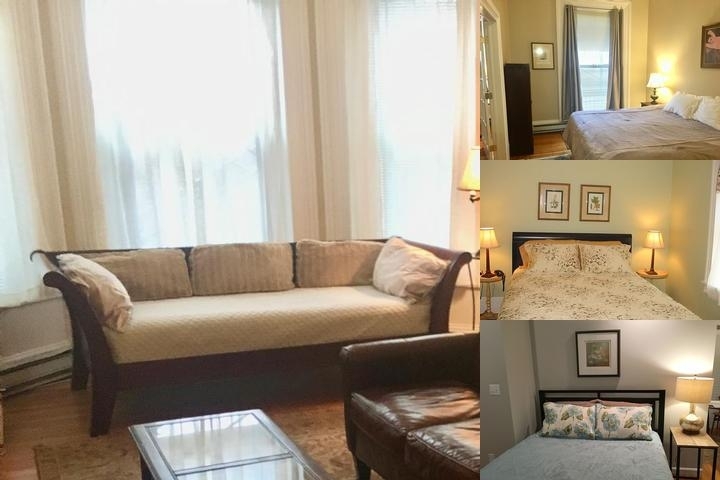 Boston - Back Bay & Beacon Hill fully furnished apartments.Free Wi-Fi and premium cable tv.All utilities included, full kitchen with housewares and linens included.Laundry facilities in the building.Ideal for extended stay and corporate housing. -After receipt of approved rental application and $300 deposit, the apartment is reserved. -When the signed lease and rental payment are received, the deposit will be held as security and refunded after move-out less any damage and cleaning fee.